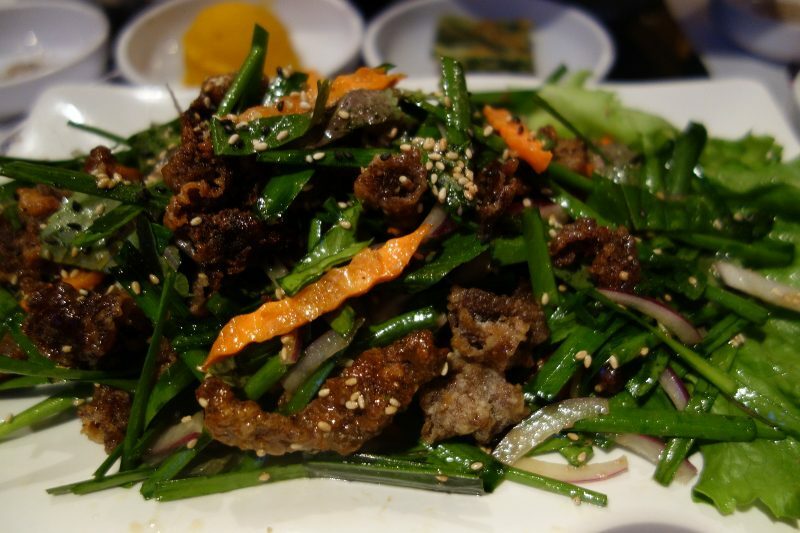 Think Korean BBQ, think meat. 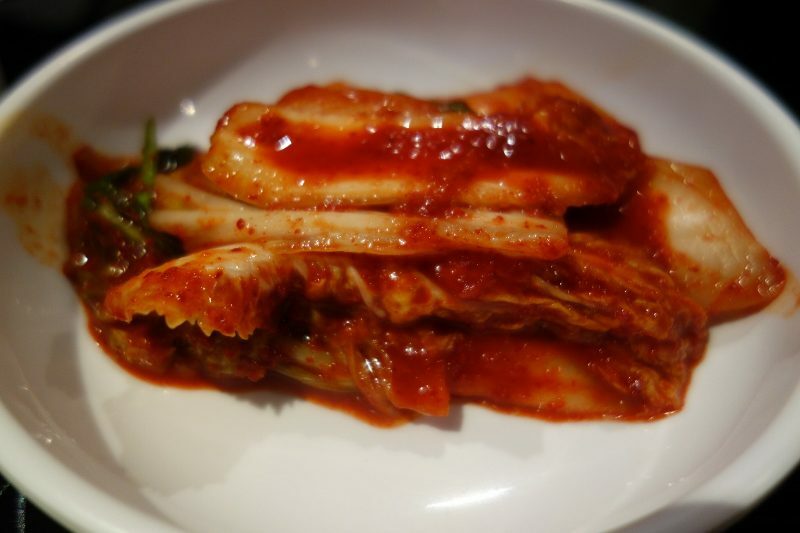 As carnivores, nothing satisfies a meat craving like a night out for Korean BBQ. 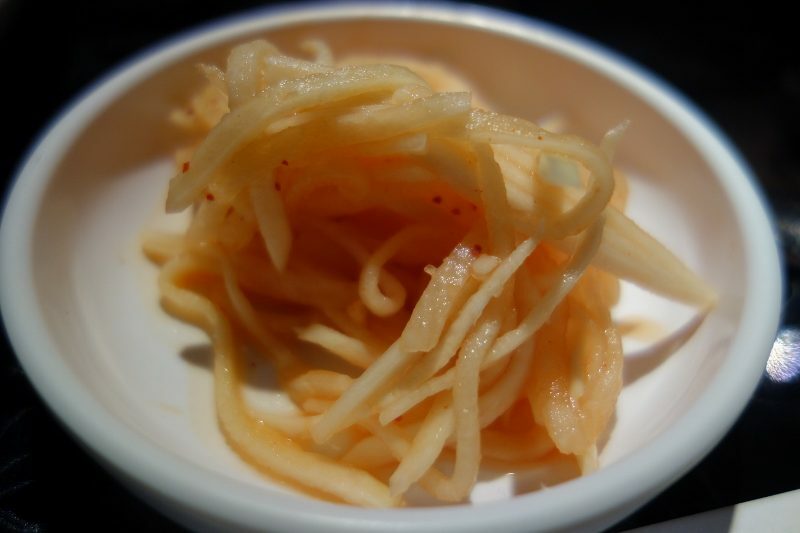 But, if you have to watch your cholesterol, a night out for Korean BBQ is probably not on the top of your list. Til now! 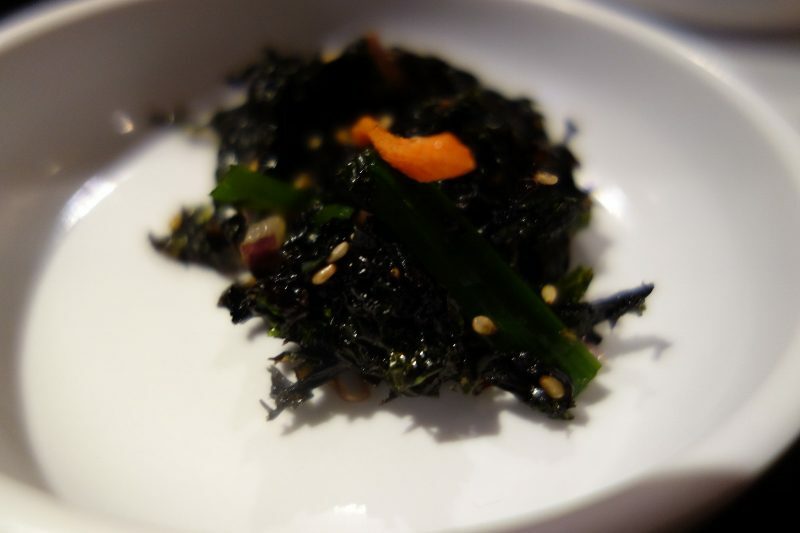 Now you can enjoy all the Korean BBQ you want with less worry. Why? 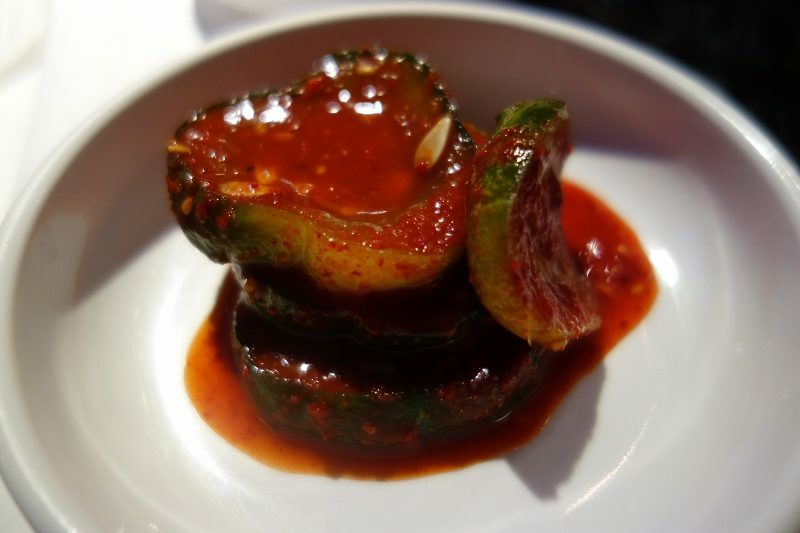 Star King BBQ in Los Angeles is not your everyday Korean BBQ. Owner Jackie Yoo is a second generation veteran of the meat business. 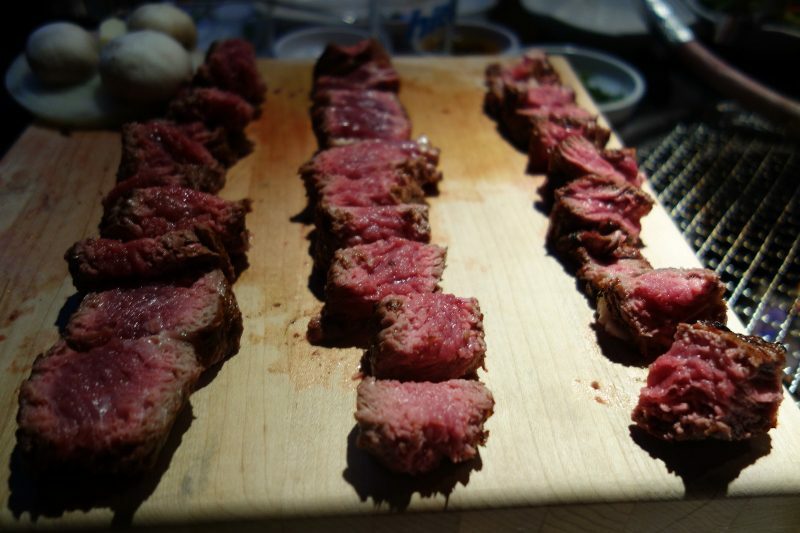 Less than a year ago, while looking for a high quality meat, she introduced Piemontese beef to the restaurant. 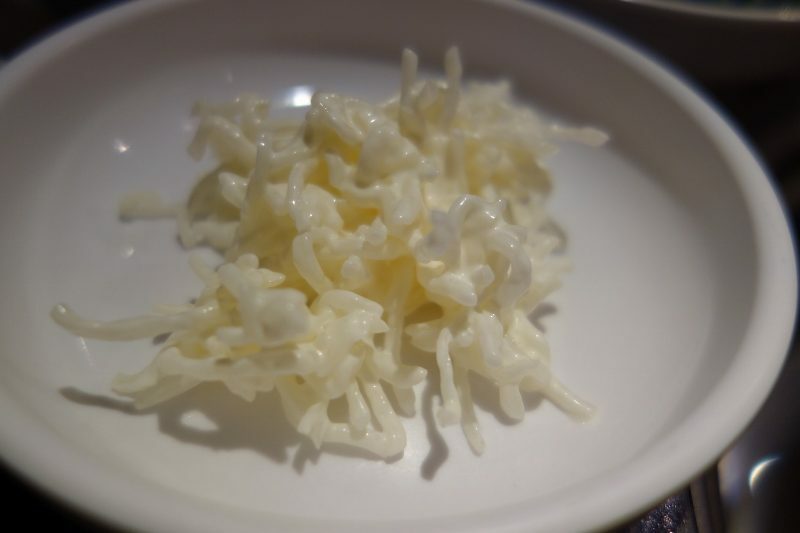 The only Korean BBQ place to serve Piemontese beef, she is taking it to the next level. Piemontese beef comes from cows originally from the Northeast of Italy, in the Piedmont region. Now bred in Nebraska, what sets them apart from other breeds of cattle is that it is a leaner meat that is more tender and full of flavor without the high levels of cholesterol or calories. The cows are vegetarian-fed, hormone-free and antibiotic-free. There is also a mutation of a the myostatin gene which results in a 14% increase in muscle mass, compared to Angus beef, resulting in a cow that builds muscle with little fat. 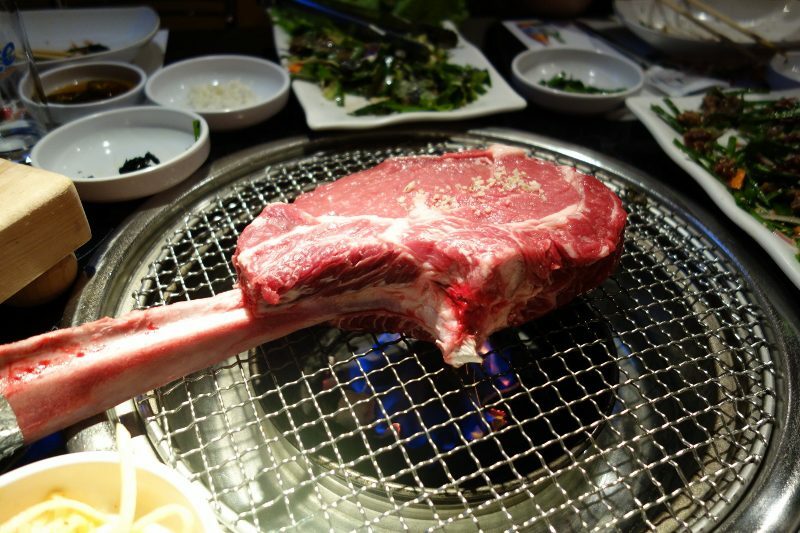 Of the many offerings on the menu, the star of the show at Star King Korean BBQ is the Tomahawk Rib-eye. 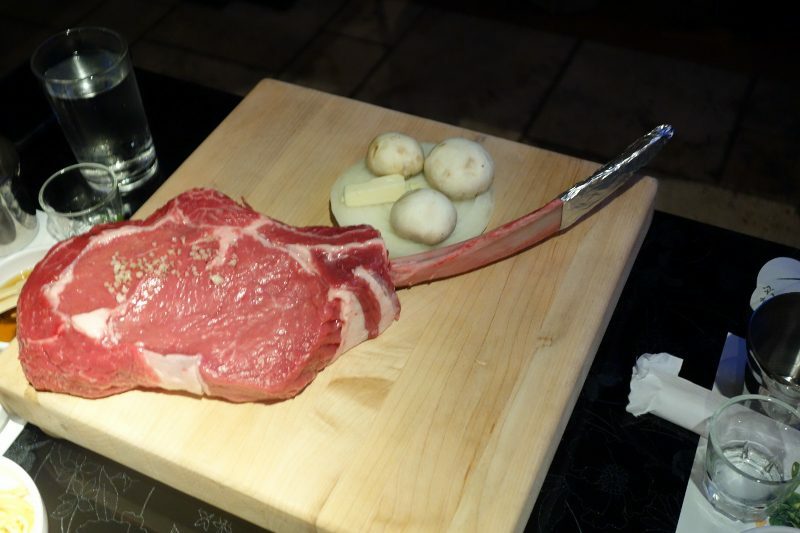 The tomahawk is the center of the rib-eye and is served with the entire length of the rib bone. With over two pounds of meat (36 oz. 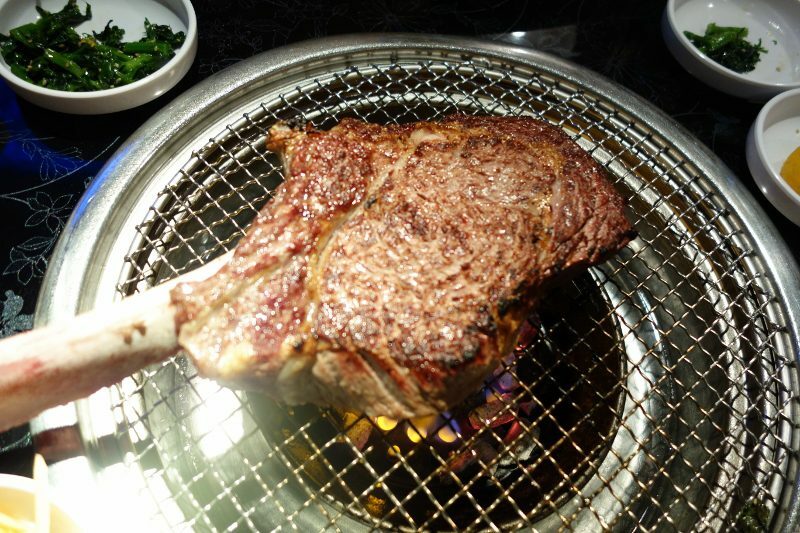 ), the tomahawk is two-inches thick and is definitely not for the single diner. In fact, it will remind you of the dinosaur bone from the Flintstones that toppled their car. Be ready to eat! The tomahawk is served simply. 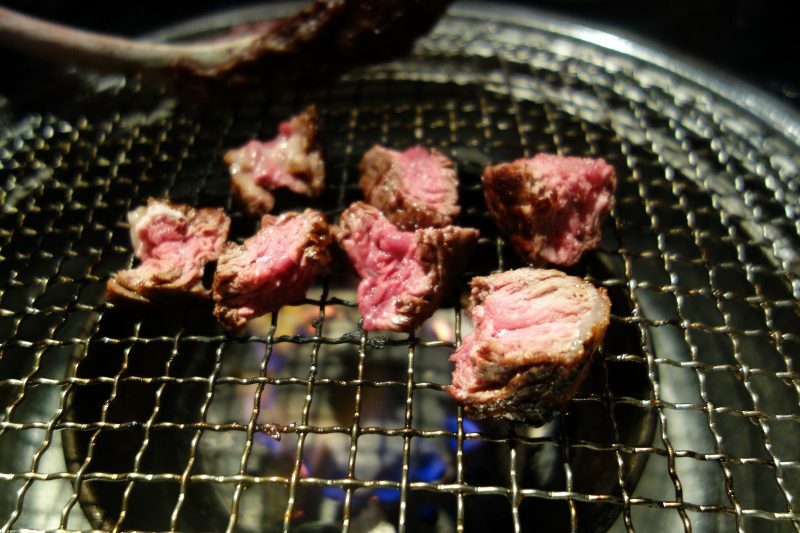 Brushed lightly with olive oil and sea salt, the staff at Star King BBQ will grill the meat tableside on the mesh screen that sits over the high-heat, smokeless charcoal Korean grills in the center of the table. 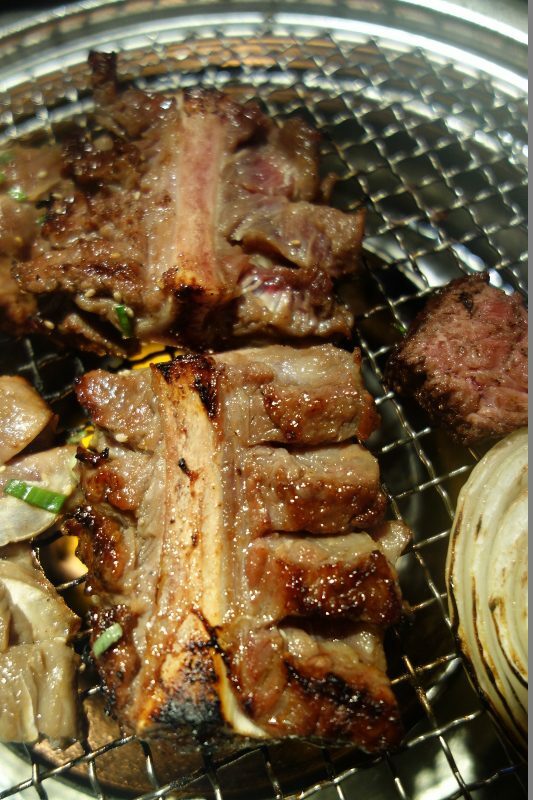 The meat takes approximately seven minutes on each side to brown and caramelize. 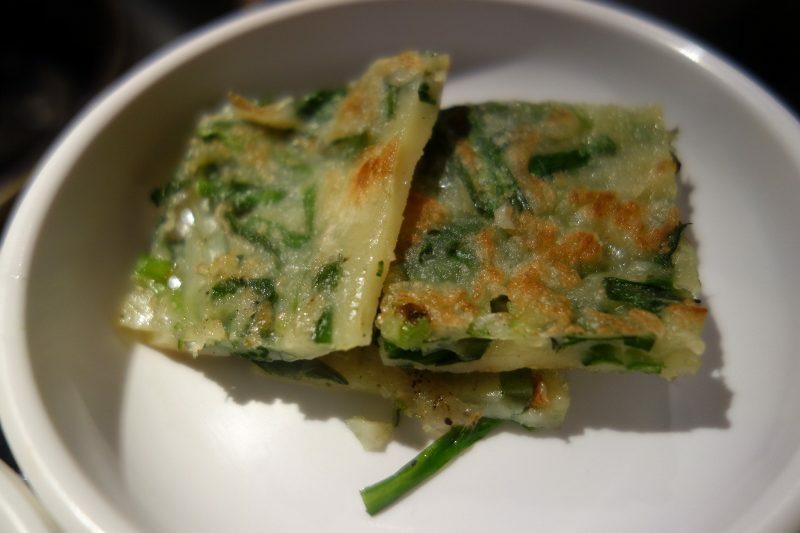 Once it is seared, the staff removes it from the grill and cuts it into bite-sized pieces, laid out on the cutting board. While the staff is still willing to help, it was now our turn to cook the meat to the level of our personal delight. Once the tomahawk has been eaten (which three of us managed to do), there was the bone, which was wrapped up and taken home to make my dog a very happy pet. In addition to the Piemontese Tomahawk, the Star King menu offers a variety of Korean favorites, including a signature marinated short rib. 48 hours of marinating results in a tender, rich beef rib with a hint of sweetness. 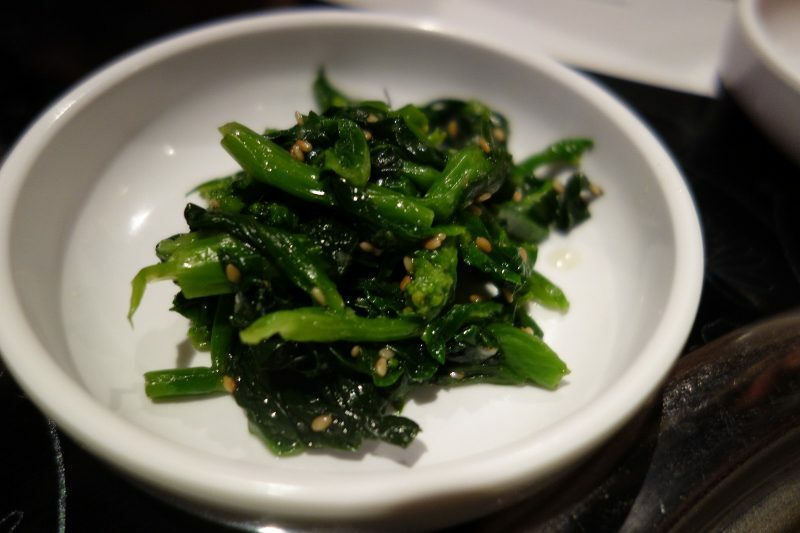 Like all Korean BBQ, all meals are served with Ban Chan, small dishes including broccolini salad, cucumber slices with red pepper paste, green onion pancake, kimchi, kombucha salad, radish in vinaigrette, green salad with house dressing, sea kelp salad and seaweed salad. 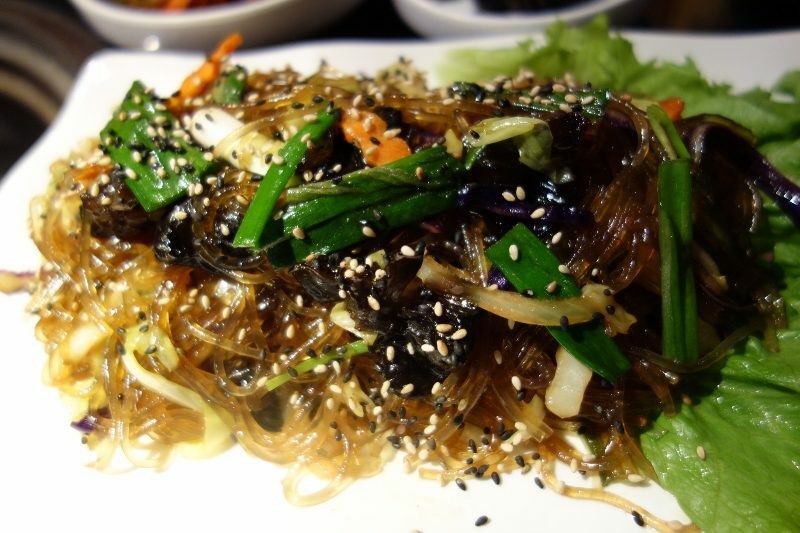 Jap-chae – glass noodles sautéed with vegetables in a light sweet soy based sauce. In addition to the health benefits of Piemontese beef, another key perk to Star King BBQ is the ventilation. You may leave the restaurant with a full belly but you won’t smell like the smoke from the grill. 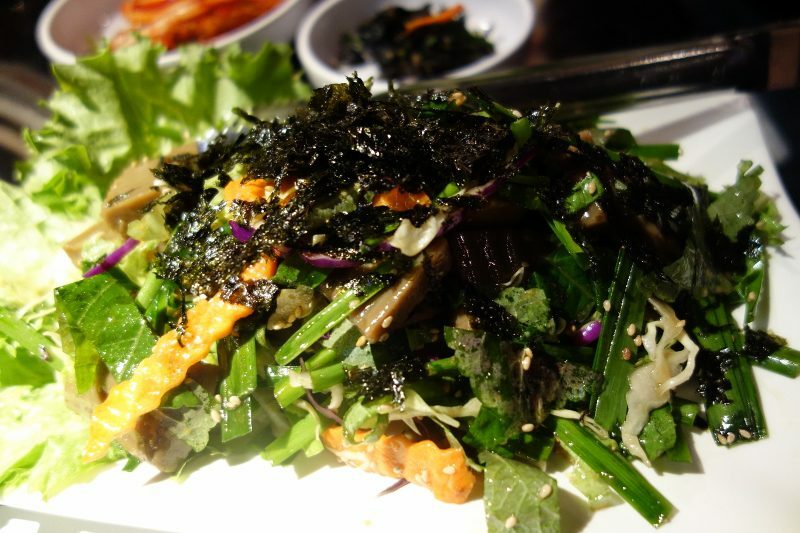 This entry was posted in Food and tagged Ban Chan, broccolini salad, Cha-dol Naengche, cucumber slices with red pepper paste, Do Tori Muk Muchim, green onion pancake, Jackie Yoo, Jap-chae, kimchi, kombucha salad, Korean BBQ, Korean Town, Los Angeles, Piedmontese Beef, Piemontese Beef, radish in vinaigrette, sea kelp salad, seaweed salad, Star King BBQ by Allison Levine. 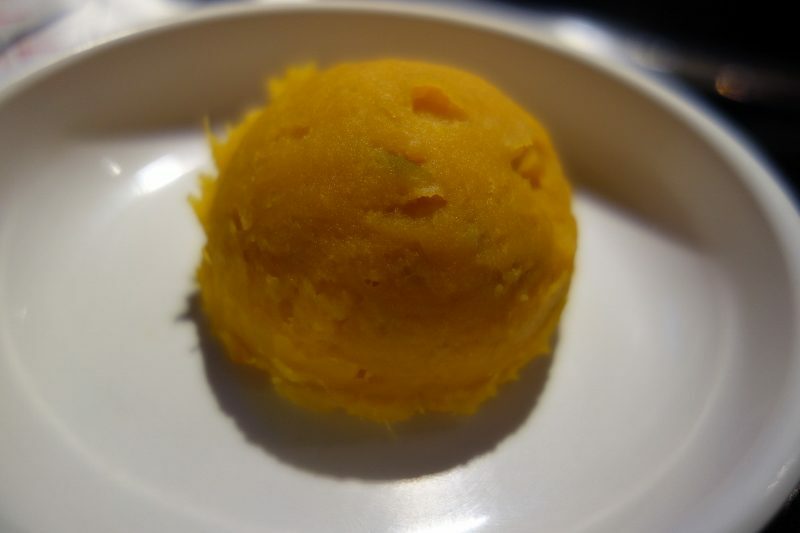 I remember this smart and delicious article! 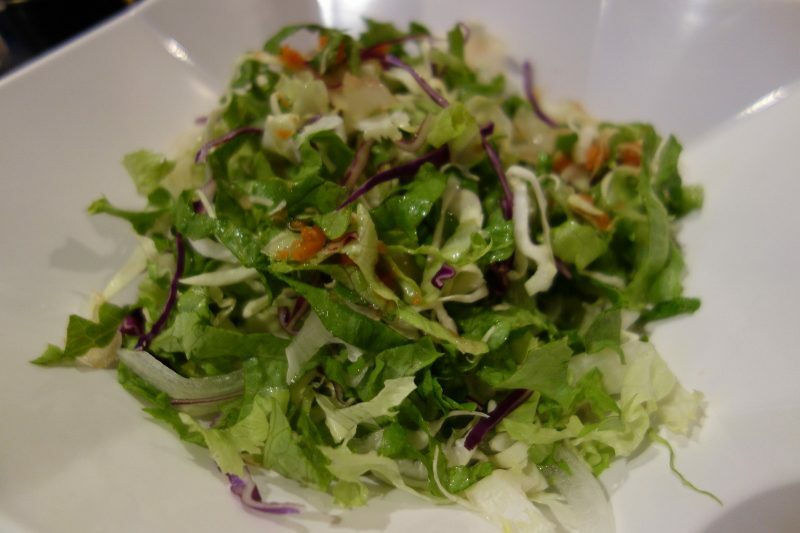 Thanks for adding it to the newsletter and we just posted it on starking BBQ website!